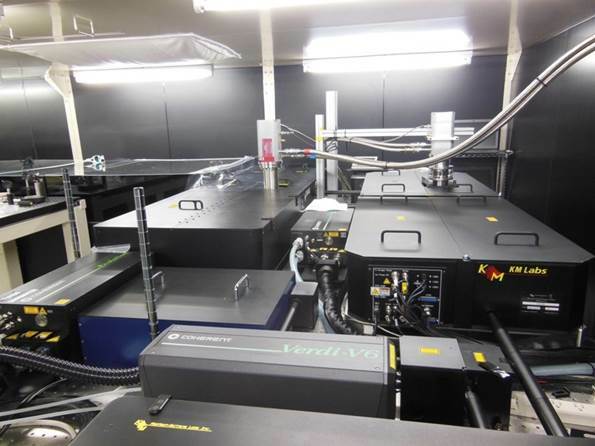 Red Dragon™ amplifier is the highest average power, shortest pulse, tabletop ultrafast Ti:sapphire laser system on the market, allowing real time software-controlled changes in the repetition rate, without optical realignment. Dragon series amplifier systems operate over a range of repetition rate ranges between 1 and 20 kHz. Make sure you answer these questions before buying any ultrafast amplifier, and future-proof your system! 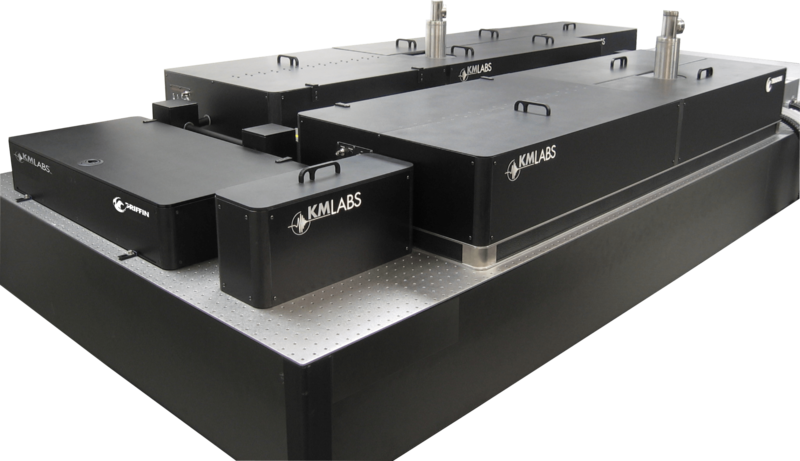 The standard KMLabs Dragon uses multi-pass amplification to generate pulses that are below 25 fs in duration with up to 8 mJ pulse energy, up to 50 W in average power. We also offer a simple inexpensive option to generate controllable pulse duration between sub-25 fs and sub-30 fs pulses. Comprehensive, fully integrated system diagnostics make Red Dragon a user-friendly amplification system, providing reference data for real time assistance with spatial, spectral and energy optimization. Multiple cameras make alignment quick and simple. Extensive data logs allow remote observation of system configuration for diagnostic assistance.